Pallet shipping remains the global leader in moving goods. As paper gains currency in pallet materials, we offer up information on what our favourite humble-but-mighty item is being made from to help you find the right product for your needs. The highest-profile proponent of paper pallets has been Ikea, starting with its conversion to all paper pallets in 2012. The many benefits cited at the time do seem to have been borne out by experience, but the debate over whether paper is truly the better material is still burning hot. Paper pallets are more expensive to produce, don't have the lifespan of pallets made from other materials because they are not as stiff, and unless specially treated they are not entirely resistant to moisture. But they are very lightweight and pest-resistant. If you are shipping large quantities long distances, paper could be the right choice, as you will reduce the weight of your shipments. Food contamination from pallets has become an increasing concern, with wooden pallets able to harbour dust, moulds, and fungi that can come into contact with the products being shipped. Metal pallets aren't prone to these problems and they are, of course, durable but can be prone to rust depending on the alloy. They can also take high-pressure washing and sterilisation. Metal pallets are also very expensive per unit and you need to be careful when packing them, as they are slick on the surface so your goods can slide around during transit. Plastic pallets also are common for food products. Many customers request plastic pallets because they don't want to deal with the mess or contamination risks of wood and want to handle lighter weights in the deliveries they receive. As with metal, plastic pallets can be easily cleaned and sterilised. When shopping for plastic pallets, you'll be making choices between virgin or recycled plastics. The latter is less expensive, but the former will have a longer life; every time a plastic is recycled, its molecular structure loses strength, so it will become more prone to cracking and cannot be repaired. Still the undisputed shareholder in pallet materials but looking over its shoulder, as all those other materials are gaining on it fast, the wooden pallet wins primarily on price. 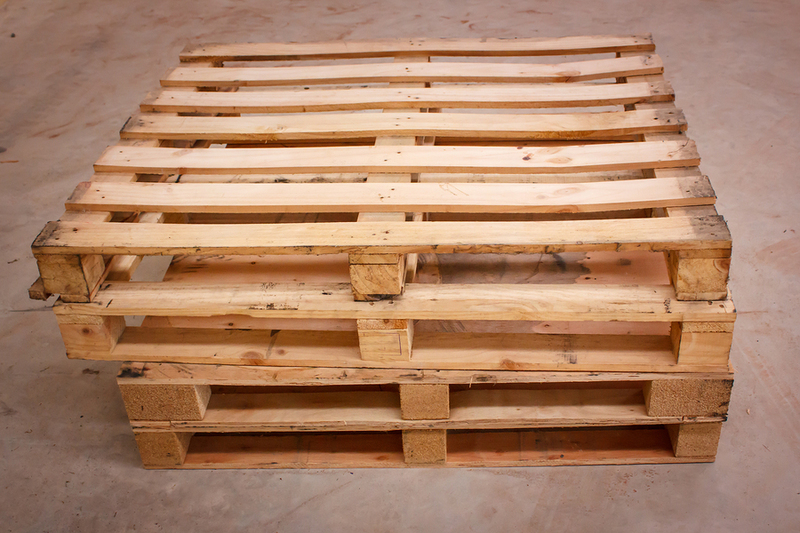 In light of new materials and the concerns of businesses over safety and resource use, wooden pallets have more checks in the "disadvantages" column than they ever did. They are still a reasonable choice, though, if they are carefully sourced for cleanliness and good repair, and if your business cannot afford the price premium of the other materials.